Another advertising stock IKEA struck by its originality. However, as always. At this time, IKEA offers embroidery messages on mattresses. 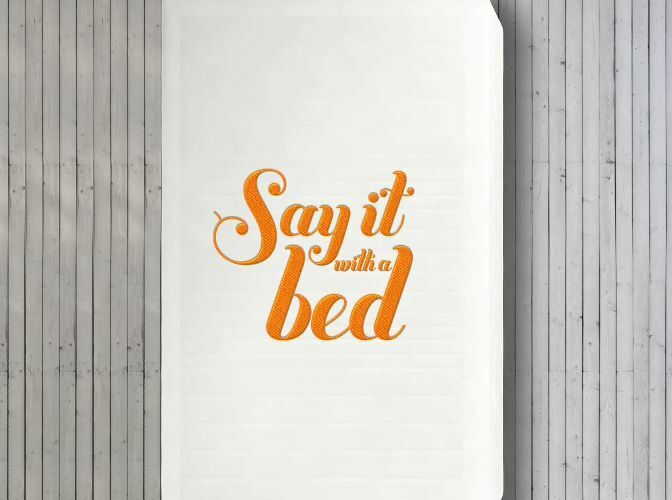 Advertising campaign is officially titled "Say it with the help of bed"(Swedish sounds" Sag det med en sang "). This promotion offers customers the opportunity to pre-order for the embroidery bed and make a gift to someone who is on the verge of a "new page" in their lives. As many as eight weeks IKEA employees spent to select eight winners, the message which will be immortalized in a series of mattresses IKEA. They will be made with the help of a professional embroidery machine. Bidders were given a difficult task to get into a small number of winners. According to the rules they had to come up with inscriptionWhich will then be sewn on mattress, and write a story detailing the essence of the idea and containing the evidence why exactly this participant deserves a victory. Mattresses with individual embroideries in the quantity of eight pieces will be delivered to consumers in the form of a pleasant surprise. Some stories are even accompanied by short videos, for example, in the case of the winner No.1 - May from the Swedish city of Stockholm. The receiver of her surprise mattress is a young man named Carlsen. Young people for a long time treated each other as part of a friendly relationship, but one day, Mai realized that it was with Carlsen that she wanted to meet every new morning and spend every day, sharing joys and sorrows. Thanks to such a wonderful contest and embroidery on the mattress, she informed him that she feels to him the same feelings as he is towards her. 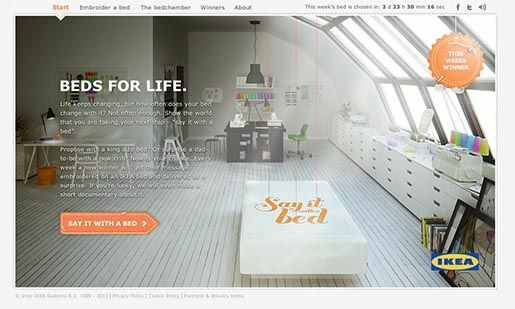 Advertising campaign "Say it with the help of the bed," he went on-line at sagdetmedensang.se. 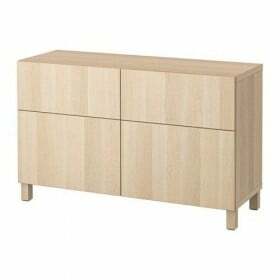 The English version of the site with details campaign can - ikea.se. Creative advertising campaign was developed by advertising agency Akestam Holst represented by Creative Head - Andreas Ulleniusa and with the support of the studio B-Reel, who worked on the site. Kastomatizatsiya - Reception, often used by IKEA. 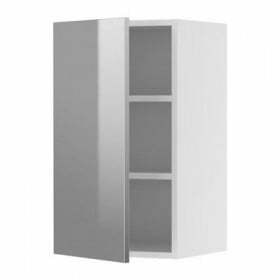 There are also third-party companies that provide services individualization Swedish furniture manufacturer. 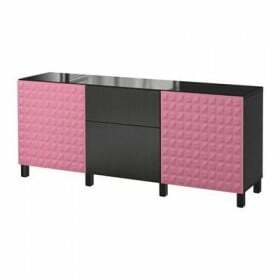 A number of such businesses is a subsidiary company Benz, realizing covers for furniture, as well as organizing Parts of Sweden, engaged in the supply of various add-on modules for furniture and Grippiks, which offers coverage on a modular furniture from IKEA. 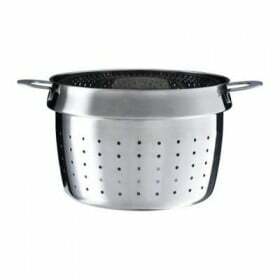 In this case, the company took the opportunity to refine their own products.